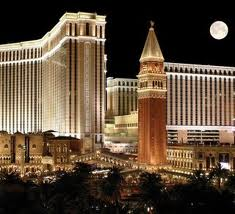 You Ready for EMC World/Momentum 2011? Well, I’m not. Of course I still have a few months before we all reconvene in the meeting of the minds in Vegas. It is time to start getting ready. First, EMC is looking for feedback on how to make Momentum even better. You can take the survey in just a few minutes. Personally, I want to see more presentations from Clients and the Documentum/IIG Community-at-large. While I am on the topic, if you are part of the same Momentum crowd, it is time to submit your presentation topics. The deadline is the end of December, so let’s get started! Last year, some of the better sessions were topics that were submitted by people from outside the EMC ranks. They told real stories where Documentum software was part of the solution and not the point of the solution. It wasn’t about sales, it was about learning about how best to use Documentum so solve problems outside of the demo VMWare image.